The World Bank approved a US$95 million International Development Association credit as announced on 29 March 2016. The Board of Executive Directors intends to support Rwanda’s urbanization strategy through focused infrastructure development. To support local economic development and enhance living conditions for residents, ‘Rwanda Urban Development Project’ supports provision of basic infrastructure in six secondary cities – Muhanga, Rubavu, Rusizi, Nyagatare, Huye, and Musanze. “The Urban Development Project will support secondary cities and the City of Kigali in creating more productive and loveable urban centers which over the long term will contribute to Rwanda’s goal of becoming a middle income country,” said Meskerem Brhane, World Bank Program Leader and Task Team leader for the project. Investments are planned in roads, drainage, solid waste management, and sanitation. To stimulate the local economic development, further roads and associated infrastructure improvements will be made for the connection of different Agakiriro Centers, industrial parks, commercial areas in the urban core, and business development and employment centers. An upgrade of a 86 hectares unplanned settlement, accommodating almost 19,000 residents in four cells of Nyarugenge District in the City of Kigali, is also part of the project. More than 500,000 people will directly benefit from this project. 19,000 residents in Kigali will benefit from access to improved infrastructure. According to an official document provided by World Bank, Rwanda has made impressive progress after the 1994 genocide. The gross domestic product (GDP) increased by 8 percent annually between 2000 and 2013. It corresponds to a 170 percent increase in real GDP. 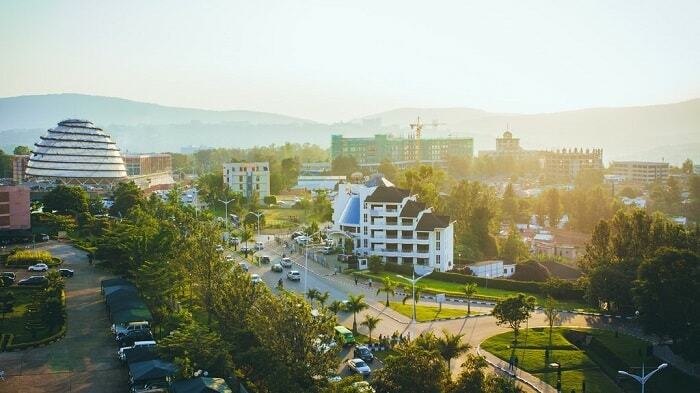 However, economic growth during the first half of the decade (2000 to 2010) was concentrated in the City of Kigali. Poor households in Rwanda’s urban areas were also 14 percentage points more likely to exit poverty than their rural equivalents and the rate of chronic poverty was three times lower for urban than rural households. In the eyes of the government of Rwanda, urbanization is a key driver for economic growth and the reduction of poverty. Rwanda is one of the most densely inhabited countries in Africa. It is also one of its least urbanized and significantly below the average in Sub-Saharan Africa with 37 percent in 2014 (Data: World Bank). Further details see Project Appraisal Document For An Urban Development Project.